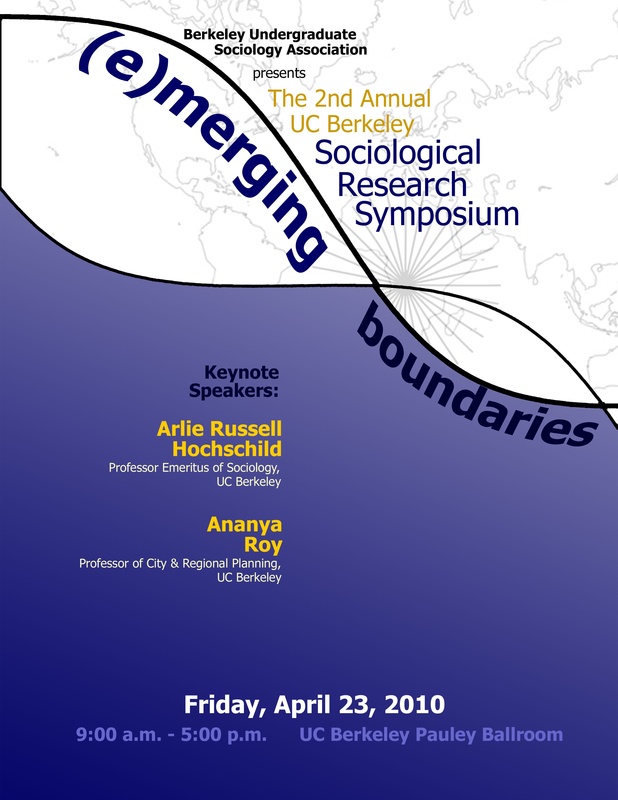 The Second Annual UC Berkeley Sociological Research Symposium brought together more than a hundred students from multiple disciplines and universities to share research among a friendly community of scholars. As a guiding framework for the conference, the year’s theme was “Merging and Emerging Boundaries.” Our opening keynote speaker was Arlie Russell Hochschild, a famed sociologist who has done pioneering work on emotional labor, the gendered division of labor, and the commercialization of intimate life. She is the author of The Managed Heart, The Second Shift, and The Time Bind, among other books. To conclude the Symposium, Ananya Roy, celebrated UC Berkeley Professor of City and Regional Planning, gave the closing keynote. She is the author of City Requiem, Calcutta: Gender and the Politics of Poverty, and her upcoming book is titled Poverty Capital: Microfinance and the Frontiers of Millennial Development.